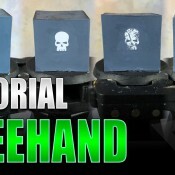 This tutorial is by my good friend Panagiotis. I asked permission to publish it in my blog and he gladly accepted (like he could do otherwise!). 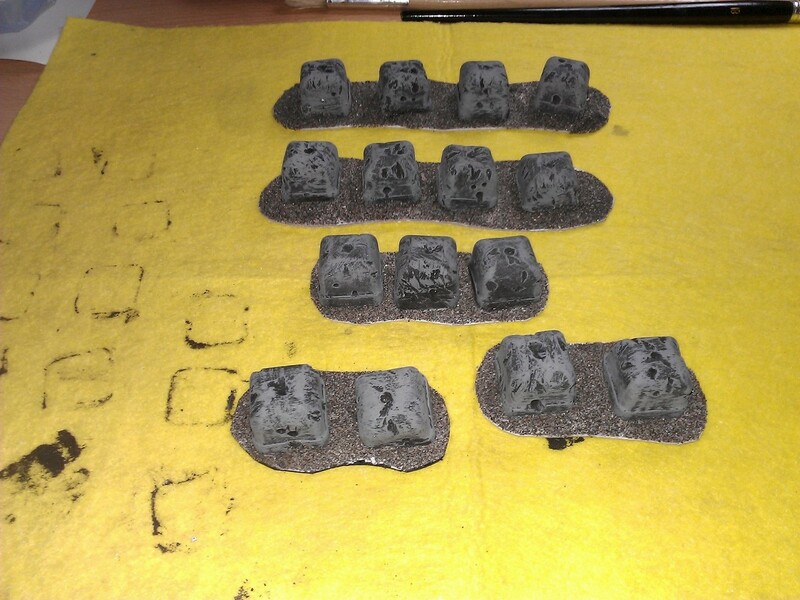 It's a very cheap, easy, fast and effective way to make tank traps and spice up your battleboard. Check it out after the jump! 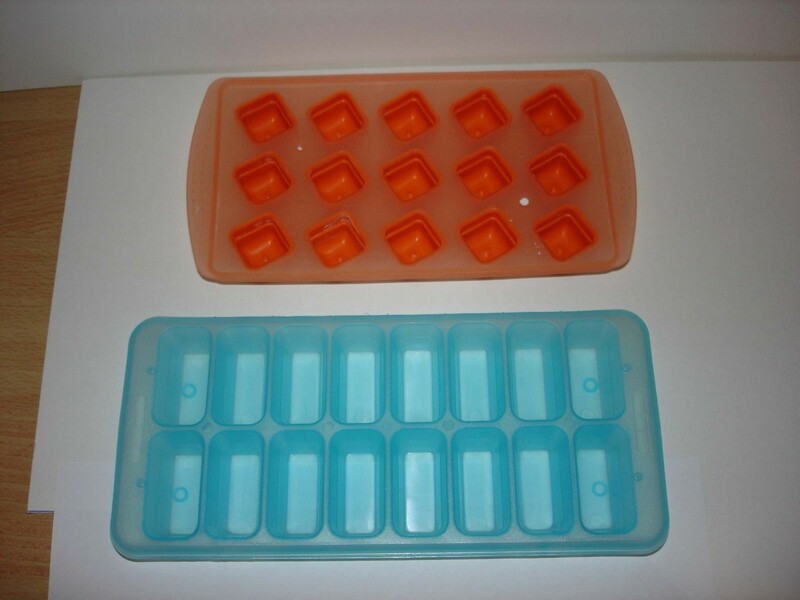 Buy a couple of ice cube trays with a fitting shape. Make sure they are flexible enough, I would recommend a silicon based tray. Get some plaster of Paris from an art supply store. Now the important part. 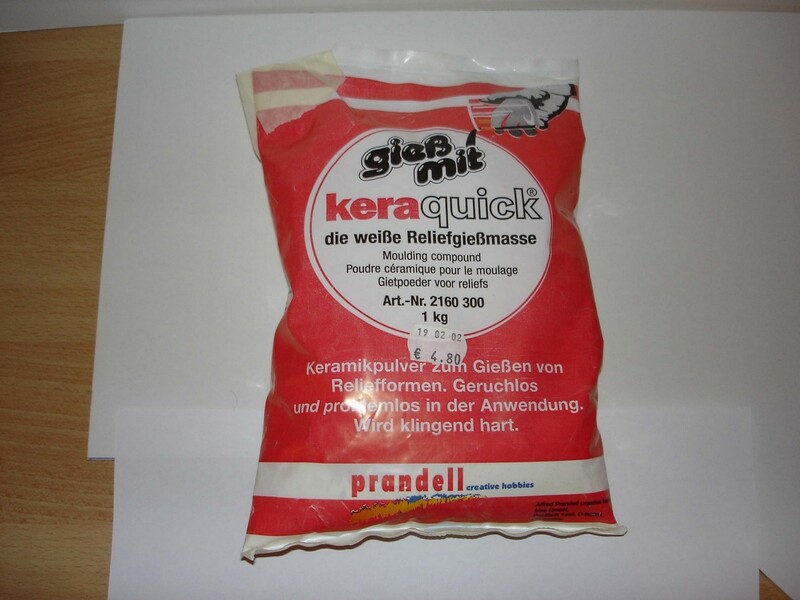 Mix one part of water with three parts of plaster powder in a suitable container. Make sure to stir it very well. 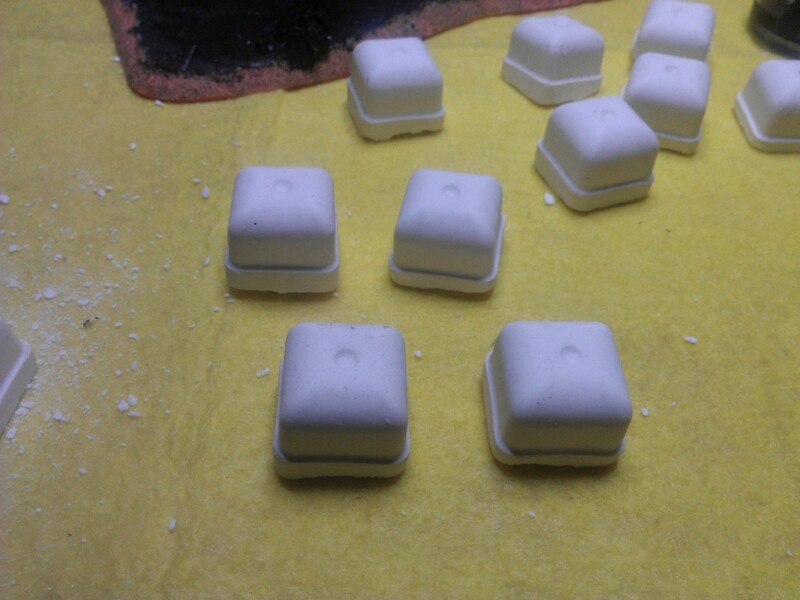 Spray the ice cube trays with some soap water so that the plaster won't stick to them later. Pour the mixture in to the trays slowly. 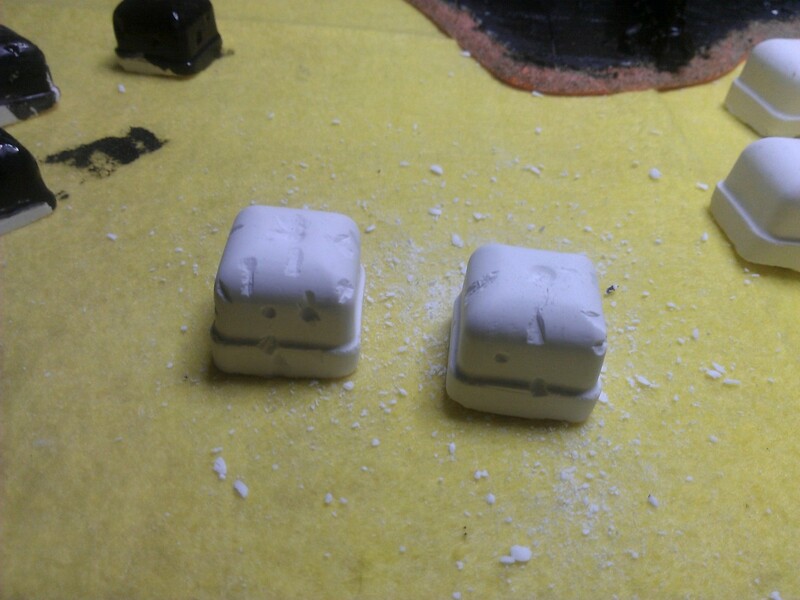 During the process, some air bubbles are going to be formed. Make sure that you keep tapping the surface that the trays are resting on in order to release these air bubbles. After you finished pouring, give the trays another tapping for good measure. Now wait for about an hour and...voila! 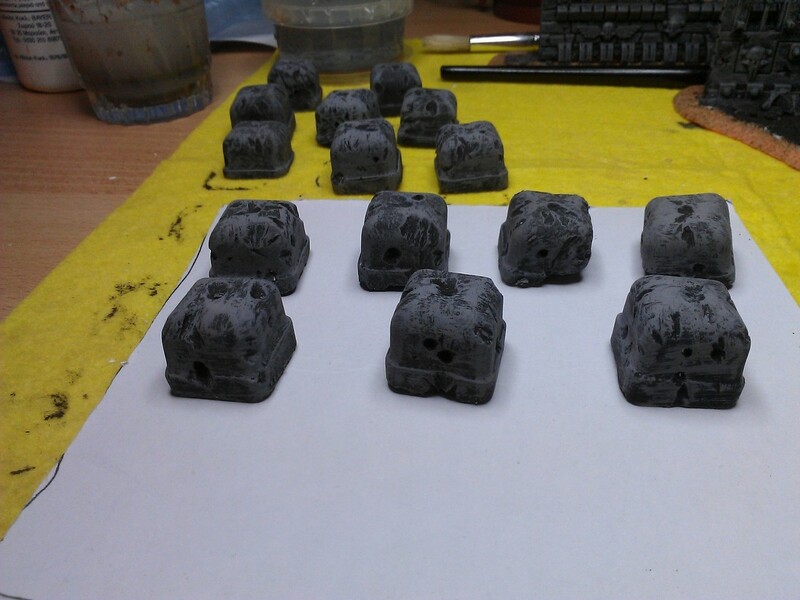 These little bundles of joy are now ready for painting. You can paint yours according to your taste of course but this is how I've done mine. 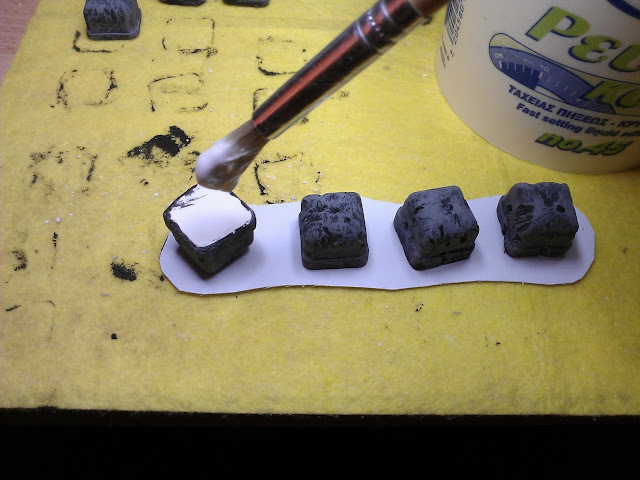 Before I started painting I used a hobby knife to create some tear and wear. 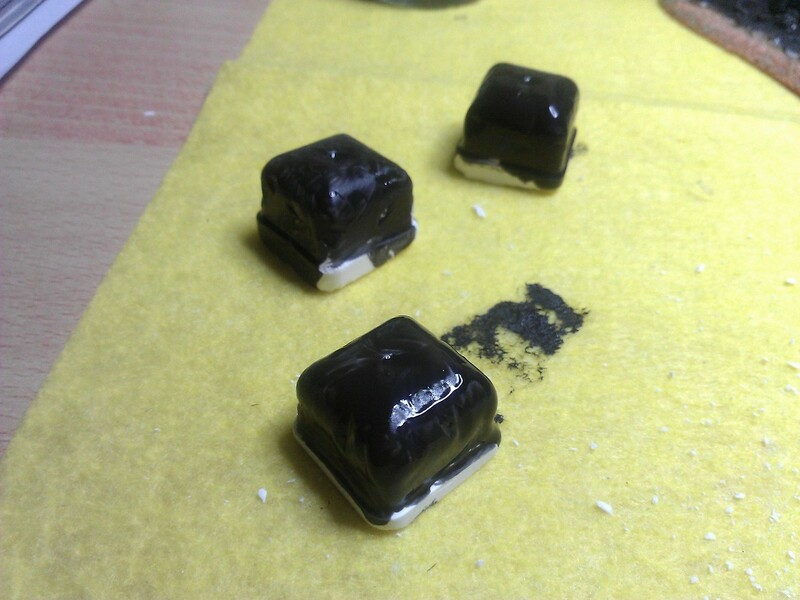 I then undercoated them with black paint (use a spray can for convenience). With a large brush we drybrush with Codex Grey and then with Fortress Grey. 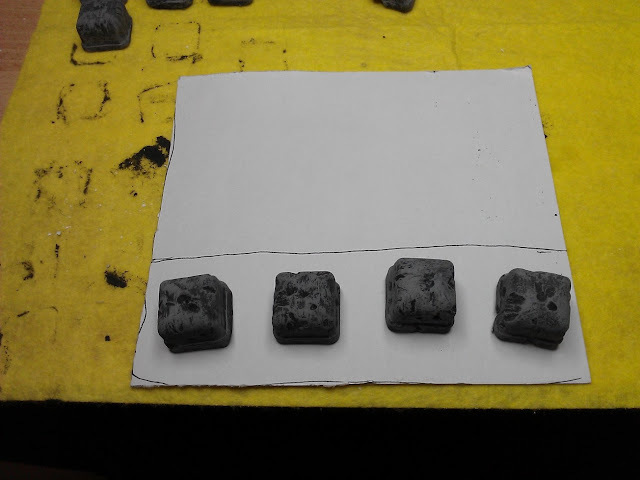 We will then need some thick cardboard to make the bases. Place the tank traps on the cardboard and draw a rough outline of the shape. 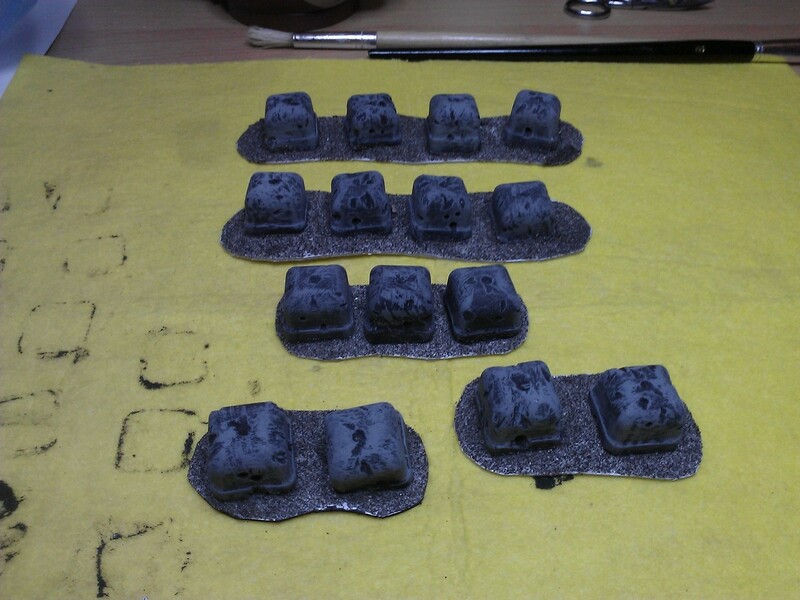 Using PVA glue we attach the tank traps to their base. 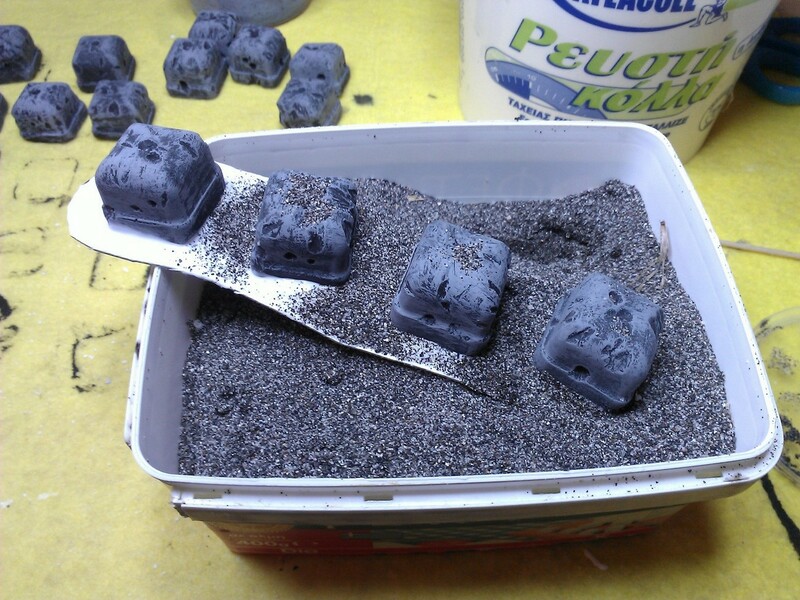 We cover the rest of the base with PVA glue and dip them inside gravel. And that's about it. Our tank traps are ready! That is an awesome technique. Now I will have to convince my other to destroy our ice trays!